Start your training 2018 in Cologne (Headquater)! Here you will find our current job offers for training and internship. We make advertising campaigns with models and influencers something very special! Joint projects, direct cooperation with the owner, a team, a unit. If you value expert knowledge and highly professional work processes, then combine your passion with your profession. Do you want to prepare yourself successfully for a career in a media agency or model agency? Advertising, fashion, management – these should be your favourite words if you want to gain a foothold in artist management! Then with us you are in one of the top agencies when it comes to model management. Only last year we were voted one of the top agencies in Germany by BRAVO! As an employer and trainer, we not only show you the most important aspects of a model agency, but also introduce you to various exciting topics: The work of an advertising agency, planning and conception of shootings, fashion magazine and editorial work, influencer marketing and management, with us it becomes guaranteed never boring! Our agency is owner-managed, therefore you are not only a small cog but directly from day 1 part of our team! Apply to Cocaine Models! You can do a vocational training with us, for example, in the area of office management but also for dialogue marketing. The training lasts 3 years and includes all the important topics you need to know in order to start your first steps in your own professional career. We impart all relevant knowledge around information management, marketing and media development. But in principle it’s about learning to interact with customers, to plan small projects, later larger ones. You will see parts of the project management, e.g. take care of our merchandise or social media channels. Besides, you’ll learn everything there is to know in the office. How do I work and organize efficiently on the computer? How do negotiations work and what do I need to know? How do I write invoices, reminders, credit notes, small contracts but also agreements? In addition to your tasks in administration and management, you will also accompany our photographers and videographers to the shooting set. Of course, 90% of the work in vocational training revolves around management, but you will also experience many great moments with our team and our models. On the set of a photoshooting you help with styling or lighting. You will also accompany the shooting, for example in our Instagram Stories: Creativity is also part of it! As for the requirements, you should be an open-minded person, flexible and confident. After all, in Model Management and Influencer Marketing you work partly with people who are younger than you, even if you are only at the beginning of your career at the age of 18 or 19. You should like to work on the computer, because that is one of the main parts of the job. If you feel well prepared for all these requirements, then you are welcome to apply for your vocational training at Cocaine Models! Anyone who absorbs their vocational training well will have every opportunity with us! As an agency, we also take on our trainees on a permanent basis. In the long run you might have found your dream job! With a beautiful office in the centre of Cologne and lots of sun on the Rooftop. Are you looking for a new challenge or are you in the middle of your career? Then an internship in our agency could help you to decide for the perfect job, study or vocational training. If you are good, you will then have the opportunity to be transferred to vocational training with credit for the internship period. You can do internships with us either for 3 months or for 6 months. We recommend a 3-month internship for people who have already gained some experience, e.g. in another long-term internship (6 months) or during their studies. We recommend the 6-month internship to all those who want to work for the first time in a longer, challenging job. In principle, however, you can apply for both internship models! The three-month internship gives you the most important insights: You will gain insights into model management, photography but also the classic work in the office. Our internship focuses on the fact that after 3 months you have got to know all important parts of the company. You will work directly with our team and learn new skills day after day. During a six-month internship, we go much deeper because we have more time for training. You will partly take on responsible tasks and thus gain knowledgeable insights into the work of a manager. From planning the trip for models to the hotel and airport pick-up, everything is organized by you. But it starts already before, e.g. with customer inquiries, offers but also campaign planning. Your tasks are very varied, so that you learn as much as possible! In the three-month and six-month internships you will not only learn the skills of a manager but also some of the most important software programs in advertising agencies. This includes image editing programs and Photoshop. You also create sedcards for customers, which you do in a layout program, like InDesign. Maybe you will also have a few days with Video Cut, because in our agency we also have photographers and videographers. Video editing is not only important for models but also for bloggers. Why Blogger? 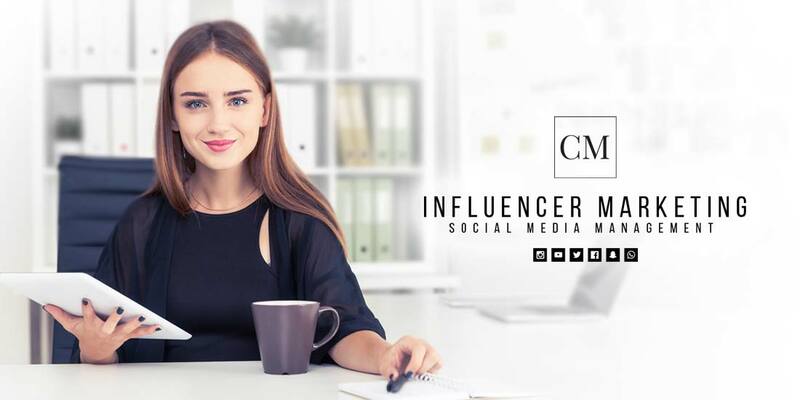 In a model agency like ours you will also have many points of contact with Influencer Marketing. We work with more well-known and larger bloggers as well as with up-and-coming talents whom we encourage and challenge ourselves. As if that weren’t enough, you’ll also be working a little for our own fashion magazine. Here we meet not only starlets from the fashion world but also great bloggers and influencers to talk to. If you want to find out more now, send us your application for your vocational training or internship. How do I apply in the agency? We don’t need a long cover letter from you, tell us what you would like to do in the future and why you would like to work for us. Send us a resume with the most important details and all your contact details. We are looking forward to your application! The important thing is, we don’t require a degree. Master graduates are as welcome as secondary school students. If you burn for the job – you’re perfect! If you are looking directly for a permanent position, you have to bring a lot of experience with you. Ideally, you should have worked for a few years in an established model agency (advertising / high fashion) and be familiar with an important area. From usage rights and their calculation to the entire travel management. But also master customer administration and the professional organization of new customers. We are the youngest German model agency, but we have already been voted one of the best model agencies in Germany by BRAVO, among others. We want to go high and we work with this claim every day. For the job you should bring the same motivation with you! As a model agency you sometimes have to do work on weekends, e.g. when a 15-year-old up-and-coming model is on her way to Paris to work for a showroom. If the young model lands at the airport and nobody is there, he sometimes needs a contact person and help. Of course, it doesn’t happen every weekend, but you should be okay with it. Model agent a demanding job! If you feel ready and already have experience, we are looking forward to your unsolicited application!